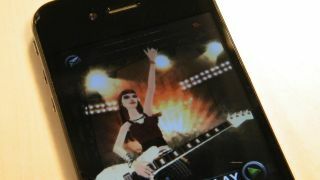 Activision could be adding to the UK games-making scene with a new studio dedicated to mobile game development. Likely to be sat up in the north of England, Activision's new studio hasn't been officially announced yet, but sneaky games newshounds have discovered that Martyn Brown is heading up the recruitment drive. Worms aficionados will remember Brown as being the man behind Team17 which developed Worms and it's his expertise in addictive video game creation that Activision is no doubt hoping to bottle at the mobile game creation unit. "We are investing in mobile initiatives and that includes a UK studio," said Activision's spokesperson, although it refused to elaborate on where, when or how. However, Develop understands that developers at various Northern studios have met with Brown so it's likely to be oop thar rather than down in the saaarf. As they say. Activision began moving away from UK-based games development after the coalition government put the kibosh on tax breaks for the gaming industry, but in March this year the government changed its mind and announced that tax relief for the "brilliant" games industry would be available after all.